It has been 10 months since I was able to make my first book available to the public through my own company, Frogsong Productions. The reader response to date has been very positive and I am grateful for all of the feedback received. It is very possible that this book will have a long shelf life as it relates to an issue many feel strongly about. 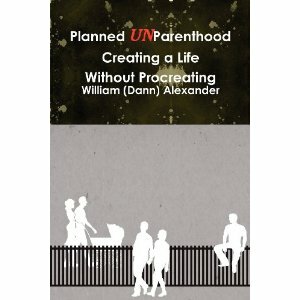 This book is to my knowledge, the first book about the decision not to have children from a male perspective. As such, readers have commented to me that they appreciate how much of an understanding I have into the decision from all points of view. Several readers also very kindly pointed out to me that they appreciated how much of an eye-opener my book has been with respect to common prejudices that those without children face. It was important to me that this book not be all single-minded in the sense of telling everyone “I don’t have kids, here is a million reasons why”. I spent a lot of time researching some things from a parents perspective. As part of that research I went to Statistics Canada to pull some numbers with respect to how much of an actual cost raising children could be. The time spent on the research was just as valuable as the writing process. The book’s aim has been to entertain as well as educate and I believe upon reading it you will see this aim is well achieved. If you have come across this blog post and have yet to read my book, at the end of this post are listings where you can order copies. Posted in Notes from the Frogpond.Tagged Amazon, Australia, book, Canada, childfree, ideas, manuscript, New Zealand, Planned UnParenthood, Planned UnParenthood Creating a Life Without Procreating, South Africa, writing.